When Bill Gates promoted Steve Ballmer to the chief executive position at Microsoft over ten years ago, the company was flying high in terms of investor perceptions and had a cutting edge image placing it at the forefront of America’s high tech boom. Despite initial setbacks during the mid 1990s related to understanding the transformative power of the internet, Microsoft quickly recovered and expectations for the company’s future were very high in early 2000. Fast forward one decade: Today, Microsoft is perceived as a stodgy company that may still generate a great deal of cash but is hopelessly behind the technology curve and may be destined for inevitable decline. Is this a fair portrayal and, if so, to what extent is Mr. Ballmer to blame? 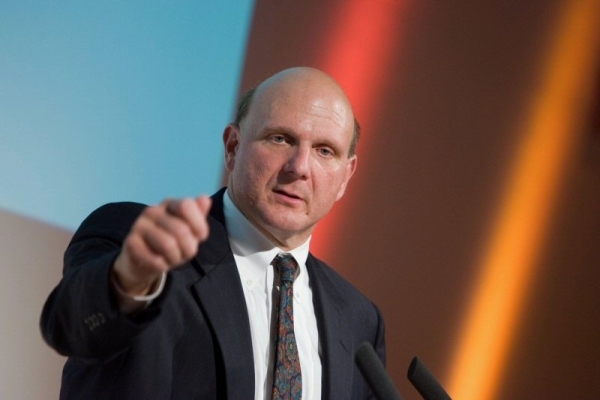 When Steve Ballmer assumed the CEO position on January 13, 2000, Microsoft stock closed at $53.91 (split adjusted), more than twice the level that Microsoft stock has traded at in recent months. Yet, over the same period, Microsoft’s earnings advanced from $0.85 in fiscal 2000 to $2.10 in fiscal 2010 which represents a compound annual growth rate of 9.5 percent. Earnings advanced in every year except for 2009. Mr. Ballmer also introduced a regular quarterly dividend in 2003 and paid a large one time $3.00 dividend at the end of 2004. While profit margins are lower than at the start of the ten year period, by any measure, net profit margins in the mid to high 20s shows that the company has formidable economic moats. The Value Line Investment Survey report (pdf) for Microsoft (available free as a Dow 30 member) reveals additional evidence of a strong financial performance. When Apple passed Microsoft recently in terms of total market capitalization, the event symbolized the growing disillusionment of Microsoft investors but this trend has been firmly in place for many years. 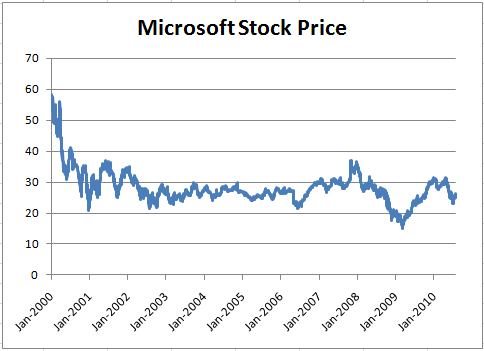 When Mr. Ballmer took over as CEO, Microsoft commanded a price/earnings multiple in excess of 50. Today, Microsoft trades at a multiple of less than 12. As one can see from the chart below, it is very possible for a company that posts solid financial results to simultaneously have a declining stock price as investor sentiment becomes more negative. Microsoft’s experience is far from unique. Many other important technology companies continue to trade at levels far below the record highs of late 1999 and early 2000 and the Nasdaq Composite remains far below its peak. Even “old economy” companies like Wal-Mart suffered a major revaluation over the past decade as we discussed recently. Investors are unwilling to pay as much today for a dollar of earnings as they were a decade ago. … Leads to Relentless Criticism, But is it Fair? The question for shareholders of Microsoft and other companies that have suffered a major valuation downgrade is whether management is to blame. To what extent is management responsible not only for delivering strong financial results but for retaining an image or an “aura of success” that makes investors comfortable paying a high price relative to earnings power? The answer to this question depends on the degree to which the downward valuation is justified based on diminished prospects for the business going forward. Did the CEO inherit a business destined to grow much more rapidly based on existing tailwinds? If so, the CEO could certainly face blame for taking action that diminished this growth, even if he was able to grow earnings in absolute terms. In other words, did Mr. Ballmer take action during his tenure that led Microsoft to earn only $2.10 in the past fiscal year rather than the $4.00 or $5.00 that investors paying 50 times earnings in 2000 implicitly priced into the stock? Or were investor expectations in 2000 simply unreasonable and impossible to maintain? To begin to answer this question, one must consider Microsoft’s recent results. The company recently announced fiscal 2010 net income of $18.76 billion on revenues of $62.5 billion. This resulted in earnings per share of $2.10. An investor who paid over $50 for Microsoft stock in early 2000 was implicitly pricing in expectations of at least double this amount by 2010. Was it reasonable for an investor in early 2000 to think that Microsoft could generate nearly $40 billion in net income within ten years? Although it is possible to come up with scenarios in which Microsoft could have delivered on these expectations, it seems self evident that to do so the company would have had to enter into entirely new lines of business. The existing software business, while highly profitable, could not have been expected to generate the level of profitability investors were implicitly assuming. It is not entirely unreasonable to expect amazing things from technology companies, although buying stock based on hopes and dreams is, by definition, speculative rather than a legitimate investment operation. We have an obvious case study with the progress Steve Jobs made at Apple over the past decade. Mr. Jobs invented entirely new categories of products and revolutionized the mobile phone industry. He may now be on the verge of doing the same with e-books and newspapers given the success of the iPad tablet device. From Microsoft, we have seen lukewarm products such as the Zune music player as well as outright debacles like the Kin phone that was recently taken off the market only a few months after introduction. Microsoft has clearly failed to innovate in the manner that Apple has over the past decade, but perhaps even more significantly, the company has allowed its image to become stodgy while Apple has become synonymous with urban style. 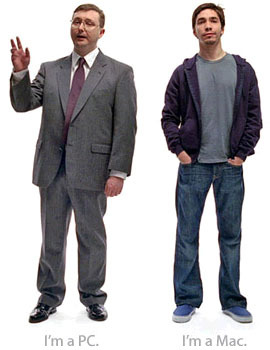 This trend was personified in Apple’s well regarded marketing campaign portraying a “PC” as an older character in a suit while the “Mac” was a more casually dressed younger man. Was this fair? Probably not, although the company created an opening for Apple particularly after the Vista operating system was poorly received. Software engineers and many so-called “power users” in the Microsoft universe will often argue that the superiority of the Mac is mainly a marketing gimmick and that Windows is a more flexible and open system for development. Furthermore, Microsoft has not fallen as far behind Google and others in the “cloud computing” area as popular perception would lead one to believe. Microsoft has a very active developer community and the company has introduced strong products for the internet such as the Silverlight platform. Meanwhile, Apple has irritated some developers with a relatively closed ecosystem for the iPad and iPhone, even banning Adobe products such as Flash. Mr. Ballmer himself is popular with Microsoft’s developer community and is not short of enthusiasm in presentations. So what is the missing ingredient? The answer is not clear. There can be little doubt that Mr. Ballmer did not live up to the expectations that were implicitly embedded in Microsoft’s lofty stock price in early 2000. While investors who paid over fifty times earnings for Microsoft at the time perhaps have no one to blame but themselves for subsequent poor performance, it is not inconceivable to believe that Microsoft could have taken a page from Apple’s playbook to create entirely new business units to supplement the Windows and Office franchises. The question for Microsoft shareholders at this juncture is whether the company has potential CEO candidates who could deliver the ingredients that Mr. Ballmer has failed to provide. While it is possible that Microsoft could recruit a candidate who would radically transform the company, is this an appropriate goal today? It may be more important for Microsoft to have managers in charge who will protect the Windows and Office franchises while taking steps to address the threats posed by the emergence of cloud computing. Microsoft’s challenges over the coming decade will not resemble those of the past ten years. Google and other firms have “cloud” strategies that threaten to undercut Microsoft’s core business. Mr. Ballmer seems to be alert to these threats based on his recent statements as well as an article that appeared in Forbes today. While the past decade was a disappointment for speculative investors who were implicitly counting on exceptional performance, Mr. Ballmer may still be the right leader for Microsoft going forward. Disclosures: No position in Microsoft or Apple. ← Amazon’s New Kindle: Priced as an iPad Accessory?